AXA FlexiDrive Telematics is the first car insurance for consumers that uses telematics to set the price for insurance. This is great news for Malaysians, because this means cheaper insurance for drivers who drive safe. In this article we explain what FlexiDrive Telematics is, how it works and review what we think of it. What is AXA FlexiDrive Telematics? Telematics insurance is an update or upgrade of the traditional car insurance. You might also have heard of the term Usage-based Insuranceor short UBI. Telematics is one form of “UBI”, because it allows monitoring of how much you use your car. For example, this monitoring allows insurance companies to change the price of insurance depending on how safe you drive. 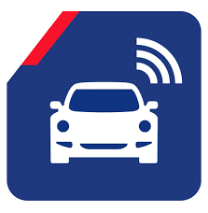 AXA insurance monitors the usage of the car with a small black box that gets installed into your car. The box is the telematics device that records the speed and acceleration of your car. The installation of the box takes less than 15min, because it only connects to the battery of your car. You can go to a workshop to install the car. Nowadays, you can even ask someone to come to your home/office and install it, without driving to the workshop. Once it is installed, there is no difference the way you use your car. You will only experience the difference when you install the FlexiDrive app. AXA FlexiDrive offers customers two big advantages that non-telematics insurances cannot offer. Once the app is installed and connected to your car, you immediately see how much money you can save every month from your insurance. This is the Safe Driving discount that you can earn every month. The monthly discount that you can earn is 1/12th of the total discount. If your car insurance costs RM 3,480, then 20% is RM 696. Every month you can save RM 696 /12 = RM 58. 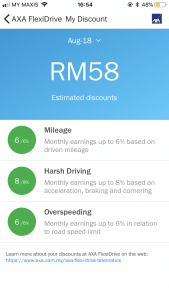 If you drive smart and get the Safe Driving Discount for 12 months you get the full savings of RM 696 in a year. The second big advantage that AXA FlexiDrive offers is the Automatic Accident Alert called eCall. 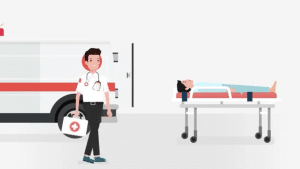 When you have an accident, the telematics system will automatically call an ambulance for you. The telematics system recognizes how severe the damage is and can send an ambulance to your exact location, even when you do not know where you are. We will write more about it in another article. How does it work? How do you get Safe Driver Discount (SDD)? FlexiDrive is a telematics insurance offered by AXA that gives drivers discount, when they drive safe. If the system evaluates you as a safe driver, you get money back. 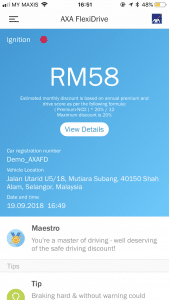 It is similar to the Non-Claims Discount (NCD) in Malaysia. Every year you get a higher NCD if you do not have a claim or accident. 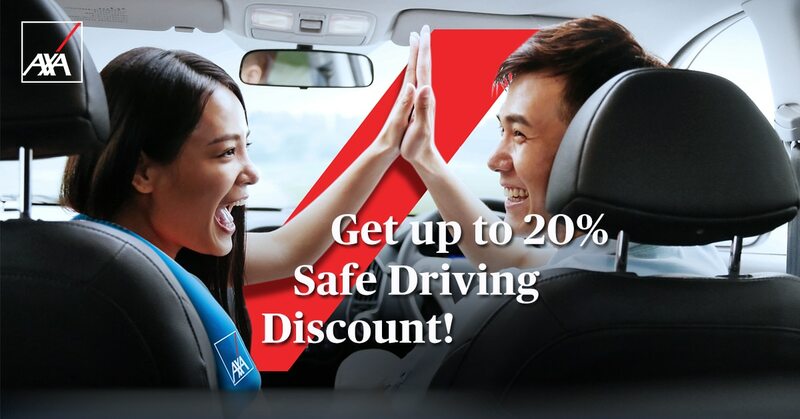 Instead of every year, AXA FlexiDrive gives you Safe Driving Discount every month, if you drive safe. The maximum is 20%. Here it is how the 20% is broken down to. Your driving behavior is recorded by the telematics device installed in your car. Based on those data, a computer system will rank you for each of the three different categories. There are three ranks for each category that follow the traffic light colors. You can get up to 6% discount every month on your car insurance, if you do not drive much. If you use your car only a few times a week, you are very likely to get the full discount of 6%. If you are someone who travels out of town very often, then you might be able to get half the discount of 3%. The reason for insurance companies to record your milage is that people who are driving a lot are more likely to get into accidents. But even if you are someone who drives a lot, you are still able to get up to 14% discount by ranking high in the other two categories. You can get up to 8% discount every month, if you accelerate and stop smoothly. The telematics device has an accelerometer build in to record that. This sensor measures how fast you accelerate, how hard you break and how fast you go in corners. A normal driver can easily achieve 8% discount. But if you like to go fast on traffic lights, stop abruptly and take corners with high speed, there is a high chance you will not get the full 8% savings. The sensors in the telematics device measure how fast you go in the car. Depending on where you are driving, the system will monitor how often you drive above the speed limit. 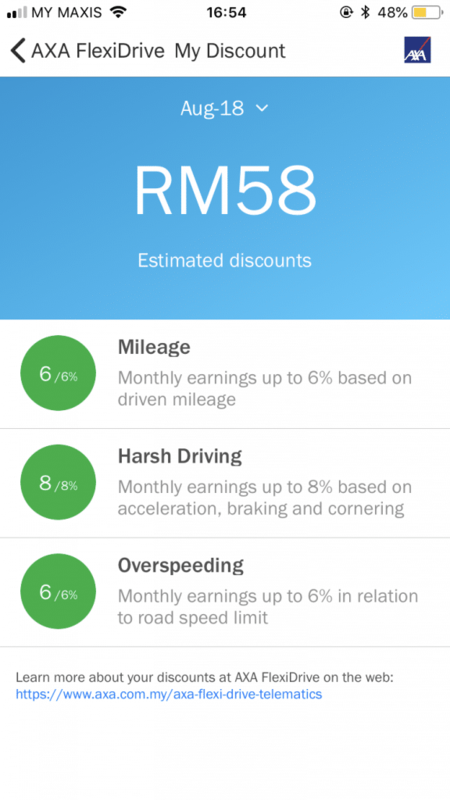 In Malaysia, the following speed limits apply, so be sure to spend most of the time below the speed limit to get the full discount. In a perfect month, your driving record can look like below. You get full safe driving discount, because all categories are green. In a good month, you can still get a lot of discount. In the below screenshot, the driver did not achieve the full Safe Driver Discount. 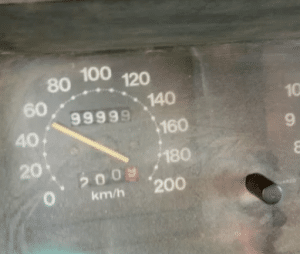 In the category “Mileage” only the status Yellow was achieved. In all other categories the level green was achieved. 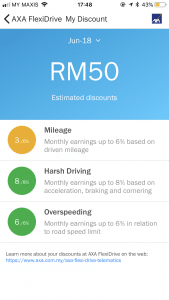 The total safe driver discount is still high at 17% which is RM 50. The best part, if you happen to not use your car for a month, you can be certain you get the full discount, because no high Mileage, Harsh Driving or Overspeeding can happen. AXA FlexiDrive is perfect for all those people that have a second car that they do not use often. What we think of it? We love it! We think that Telematic Insurance is amazing and every insurance and takaful company should offer it. It is not, because it is from AXA. If theres is another company, we would love it too, if it offers the same benefits. 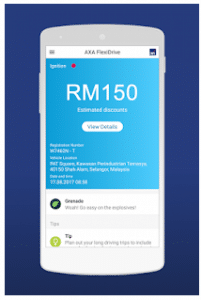 But AXA is the only company today that offers telematics insurance for Malaysian drivers. Why? Of course the main reason we love it is the Safe Driving Discount that nobody else in Malaysia offers. We feel it is better than the Non-Claims Cash Back that Takaful companies offer, because the driver is in control. With Non-Claims Cash Back, you have no control how much you get back. 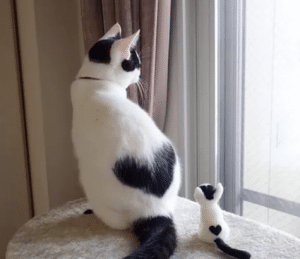 It depends on the performance of the company how much you get back. Imagine if a Takaful company offers both Non-Claims Cash Back and Safe Driving Discount. That would be awesome. 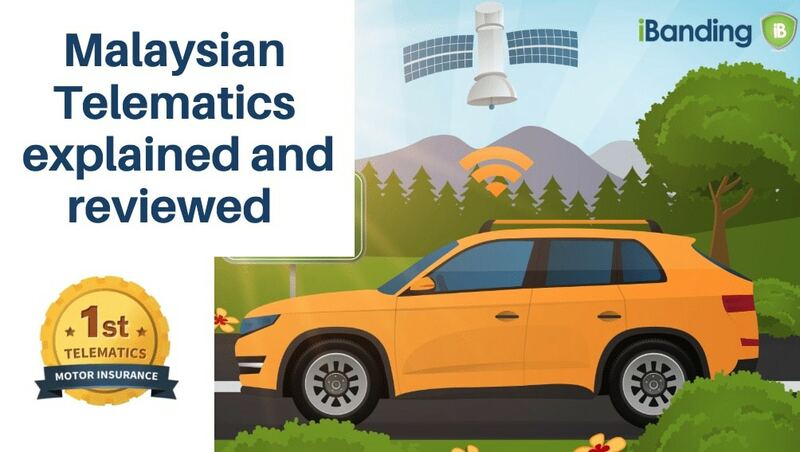 But besides the discounts, there are many other reason why we love Telematics insurance and believe it is great for Malaysia. When people know that the way they drive influences how much insurance they pay, everyone will drive safer in Malaysia to save money. Malaysia will then move from a country with the highest road accidents to the level of developed countries like the US or Europe. Would that not be awesome? When you get into an accident then every second counts to get help. 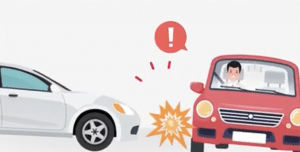 The Automatic Accident Alert system helps save valuable minutes and second until an ambulance arrives to the accident scene. The build in GPS makes it even more easier for rescue teams to find you, especially when you get into an accident outside of town. We do not see any downside in buying Telematics insurance. What do you think? Let us know your opinion in our comment section. Need to renew your car insurance? How do I get AXA FlexiDrive? Buy SmartDrive. Use the link here.